The original design. This gives clarity, precision, and a very easily controlled, centred sound. It adds more brilliance and richer upper overtones than the convex outer profiles of other designs. The Classic design is very responsive and easy to play. It has excellent flexibility and a rich tone. The Classic range covers the complete range of brass instruments from soprano cornet to BBb tuba. 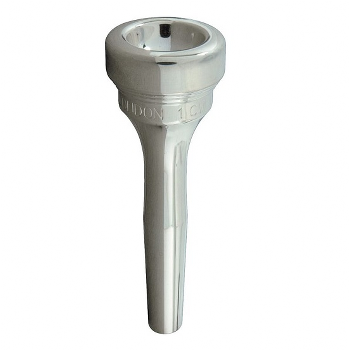 Classic mouthpieces are available in either gold or silver plate. © Copyright 2019 ShopNEMC. All Rights Reserved.